Foundation is key to feeling safe to move forward and create the kind of lives that we want to live. The hips are often where we hold all our unprocessed hurt, guilt and even anger. These unprocessed emotions can block us, in every way, physically, emotionally, and energetically. This practice is about moving into these places to open them up and ground into the stability of the earth where we alchemize them into more connection and awareness. A practice of seated twists, forward bends, hip openers, and meditation. All around us nature expands and radiates with beauty. No matter where we are with our practice it can be a way of expressing beauty through our actions. This is how we join in with the unending flow of Life. Come and play as we weave and uplift our way into backbends. The practice of allowing ourselves to be exactly where we are. 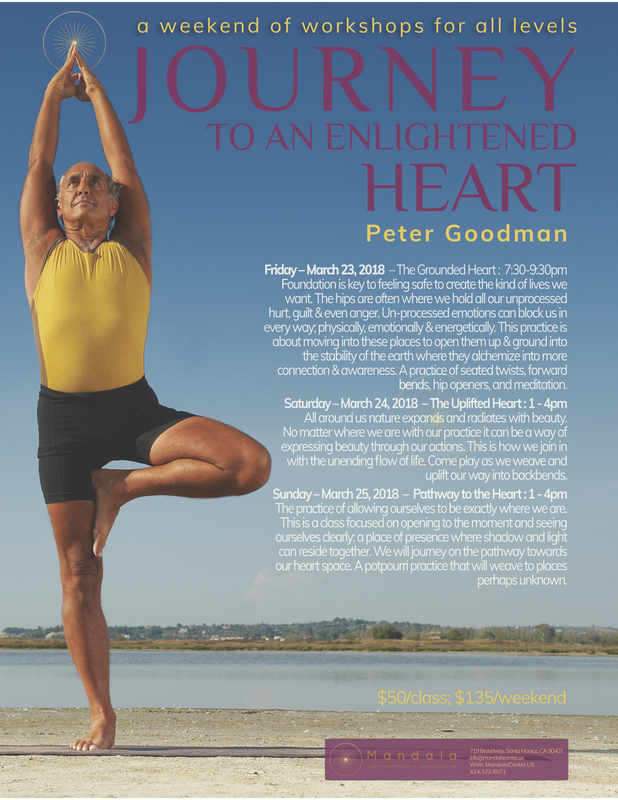 This is a class focused on really opening to the moment and seeing ourselves clearly: a place of presence where both shadow and light can reside together. Today we will journey to the pathway towards our heart space. A potpourri practice that will weave to places perhaps unknown.